Haiku (or Senryu) by myself. 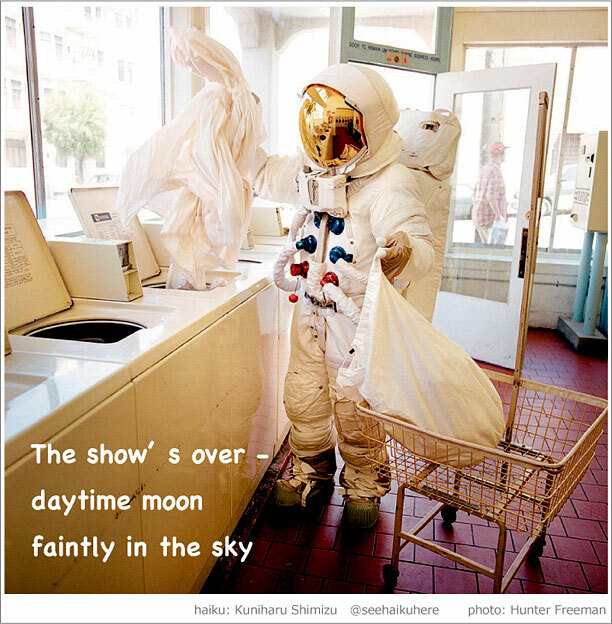 Photo is by Hunter Freeman, who did a series with astronauts in everyday life, like watching TV with snack and such. Interesting viewpoints. Yes, it is senryu. Thx for commenting.